The kids and I decorated our Christmas tree this last weekend. After the lights were strung and the garland hung, it was time for ornaments. They waited in anticipation as we began our treasure hunt of ornaments with special meaning. Each year we add an ornament or two to our collection, sometimes commemorating a special event or vacation. Ballet shoes for my daughter&apos;s first year in dance. A Great Wolf Lodge ornament from a recent vacation. Watching their faces remember the treasures seen but once a year is so much fun. Some of our favorite ornaments are the handmade ones, so I wanted to share some handmade ornaments I found right here in Hendricks County. Maybe you can find a treasure to add to your tree this year. Lisa Pelo, local glass artist and owner of Hot Blown Glass in Clayton makes beautiful Christmas ornaments in all shapes, sizes and colors. These ornaments refract the light on a tree so beautifully. Not only can you find Lisa&apos;s ornaments at her studio shop, but they are located all over Hendricks County as well. You can find them at Artistic Designs Gallery, Finer Things and Frazee Gardens located in Brownsburg, or the Bread Basket Cafe in Danville. These would be a great choice for your tree this year. 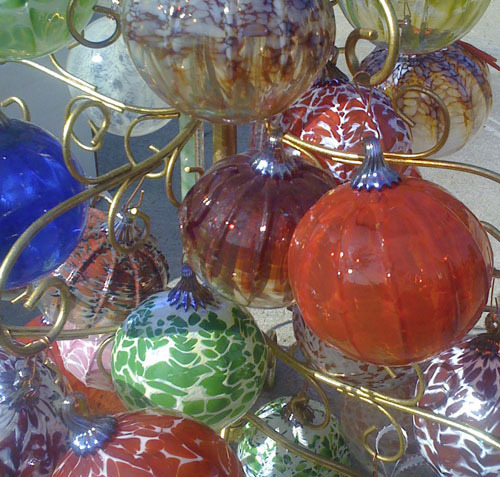 In addition to offering Lisa Pelo&apos;s glass ornaments, Artistic Designs Gallery, located at 124 E. Northfield Drive in Brownsburg, sells other beautiful and unique Christmas ornaments. 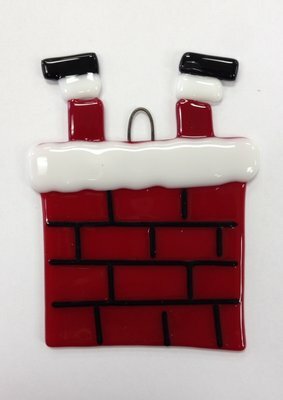 One of their featured ornaments is made by Inspired Design Glass Studio. These unique ornaments are so strong they will double as wind chimes. Hang them on your tree for Christmas and then listen to them the rest of the year on your front porch. Located at 1032 E. Main St. in Brownsburg, Finer Things has an abundance of ornaments to choose from. They feature intarsia-patterned ornaments for your tree and a Victorian-style sequined ornament that would be perfect for a themed tree. They also sell a beautiful stitched paper ornament. Featured on Rural Routes to Main Street Cultural Trail, this shop in Brownsburg has so many options for your tree. How about an ornament of the edible kind? That&apos;s right. Confection Delights on the square in Danville has beautiful chocolate ornament with more chocolate inside them. These unique ornaments are almost too pretty to eat. Almost. How about making your own creation? U Paint Pottery Studio, located at 1820 E. Main St. in Plainfield, offers ceramic ornaments. They provide all the brushes, paints, stamps, stencils and other materials you need. They will also fire your piece so it&apos;s ready for you to pick up and hang on your tree. An experience and a beautiful ornament for your tree. You can&apos;t beat that! The Sterling Butterfly located in Martinsville is another Rural Routes to Main Street Cultural Trail location. This shop has a variety of beautiful ornaments to choose from made out of cloth and other materials. I hope this gives you a good start for your ornament search this year. This is just a partial list of shops that sell ornaments in Hendricks County. Other shops include FROGS in Pittsboro, Gallery on the Square in Danville, MRC Wood Products in Pittsboro and even the Hendricks County Historical Museum, plus so many more.